Congressman Ro Khanna, who represents Silicon Valley, has also joined the House Armed Services subcommittees on Intelligence and Emerging Threats, and Strategic Forces, as well as the Oversight subcommittees of Government Operations and Economic Policy. Ro Khanna has joined 3 influential committees -- Oversight and Reform, Armed Services and Budget. 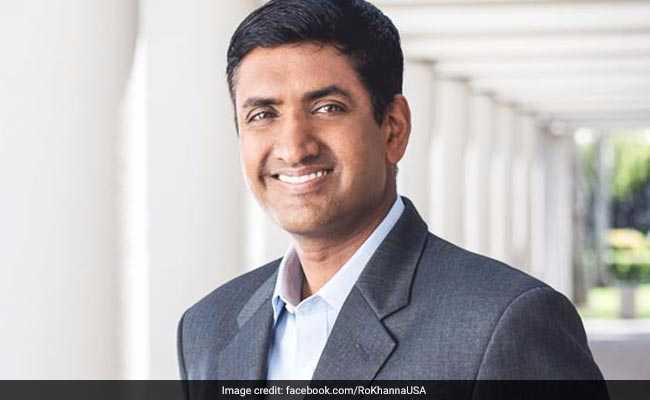 Indian-American Democratic Congressman Ro Khanna has been appointed to several key Congressional committees, reflecting his growing stature within his party and the Congress. In the current 116th Congress, Mr Khanna has joined three influential committees -- Oversight and Reform, Armed Services and Budget. The 42-year-old Congressman, who represents Silicon Valley, has also joined the House Armed Services subcommittees on Intelligence and Emerging Threats, and Strategic Forces, as well as the Oversight subcommittees of Government Operations and Economic Policy. "I'm honoured to have the confidence of Speaker Pelosi to serve on these committees at such a critical time in our nation's history," Mr Khanna said. He further said: "I look forward to using these assignments to spark discussions around how we are going to grow the digital economy, forge a progressive foreign policy, hold the administration accountable and modernise government technologies". The committee on Oversight and Reform serves as the primary investigative body for the US House of Representatives and plays a crucial role in holding the Trump Administration accountable for many of the outstanding questions over potential campaign, ethics and constitutional violations. 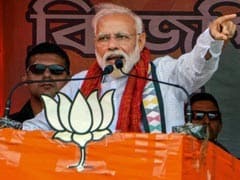 One of the first such investigations will focus on the ongoing issues of security clearance at the White House, a statement issued by the office of Mr Khanna said. The committee also has sweeping jurisdiction in many policy areas, allowing Mr Khanna and his colleagues to conduct oversight over "any matter" it believes would serve the American people, it said. Some of the first hearings will look at rising drug prices, campaign finance and lobbying reform. The committee on the Budget drafts the annual budget resolution that sets the levels of revenue and spending expected each fiscal year. Pelosi has already committed to holding hearings before the Budget committee on Medicare for all, where Mr Khanna plans to continue his fight for universal health care in the country. Mr Khanna has been a leading advocate in the movement for universal health coverage and for lowering prescription drug costs. With Senator Brown, he introduced the Grow American Incomes Now Act (GAIN) that expands the earned income tax credit by USD 1.4 trillion and will continue to fight for this policy on the committee. As a member of the committee on Armed Services' subcommittees on Intelligence and Emerging Threats and Strategic Forces, Mr Khanna will continue to provide a much-needed voice of restraint in our nation's foreign policy, his office said. Mr Khanna is leading the effort in the house to end US involvement in the Yemen civil war, cautions against a new nuclear arms race with Russia, and supports bringing technologies from Silicon Valley to the Defence Department, it said.